THE HOME OFFICE is desperately trying to find the legal grounds to deport Katie Waissel from Britain, SelebSpy has learnt. Officials are searching for any legal loophole that would allow them to revoke the unbearable X Factor contestant’s British citizenship and deport her from the country. Britain was shocked on Saturday when X Factor judge and national treasure Cheryl Cole, selected Waissel, 24, as one of her three acts for the live finals. 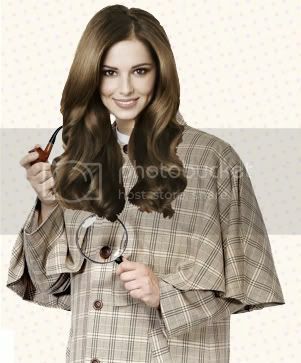 The posh bint from London, who has repeatedly forgotten song lyrics and the fact she already has a record contract, was chosen by Cole along with single mother Rebecca Ferguson and recovering crystal meth addict Cher Lloyd. The shock axing of popular contestant Gamu Nhengu as a result of her immigration status has given government officials the idea that they could get rid of Waissel in the same manner. The fact that Waissel is a British citizen with British-born parents has not deterred the Home Office from pursuing the case. A spokesman from the UK Border Agency said: “There are two things that fill the British public with dread: the first is being caught up in a terrorist attack, the second is enduring Katie Waissel wailing away on their TV screens every Saturday night wearing some ridiculous ‘vintage’ clothing she’s bought from the Sue Ryder Care charity shop in Muswell Hill. A Home Office spokesman said: “We are constantly reviewing immigration policy to ensure that those who pose a threat to our society do not have the right to stay in Britain, and where necessary, are deported to their country of origin. Obviously, in this case Miss Waissel’s country of origin is Britain, which does cause a bit of a problem, but we are exploring all avenues. X Factor viewers have inundated Internet forums and social networking sites with angry comments claiming that, although perfect in all other respects, national treasure Cheryl Cole has made a grave mistake in selecting Waissel for the live finals of the show. 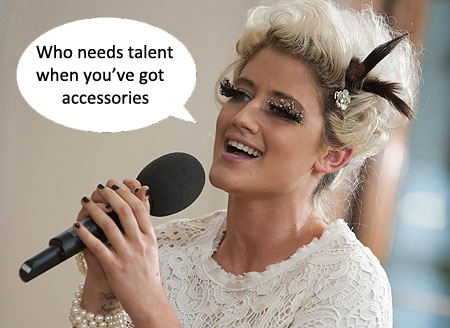 One other line of enquiry being pursued by the Home Office is imprisoning Waissel under anti-terrorism laws for the duration of the X Factor live finals. A Home Office spokesman said: “The definition of a ‘terrorist’ is ‘someone who causes terror and panic in others’, and the thought of seeing Katie Waissel sing Fly Me to the Moon during Big Band week on the X Factor fills me with utter terror. Therefore, you could say that Katie Waissel is a terrorist. And therefore should be deported.